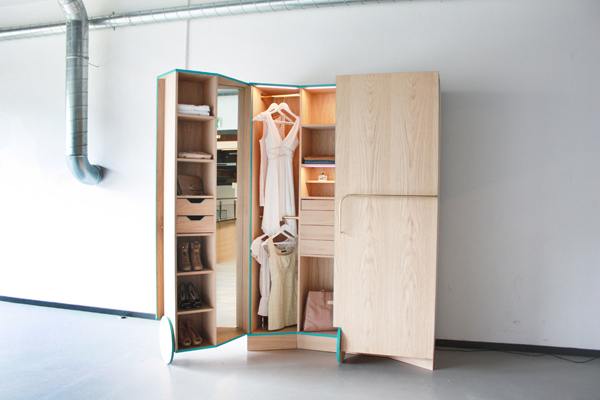 “Walk-in Closet” is made of wood and has rolling doors that swing out almost 90 degrees. This way the user is not riffling through the darkness looking for his/hers clothes as in traditional wardrobes; everything is visible. 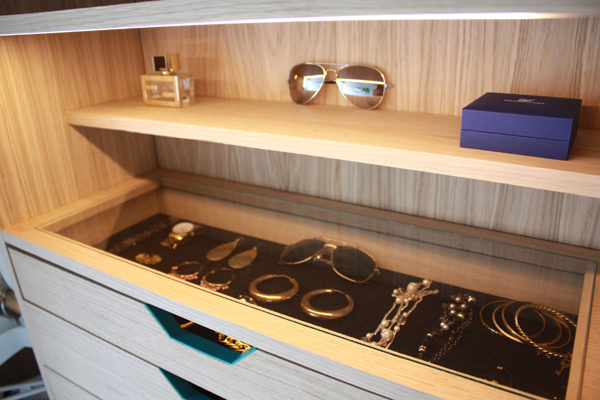 It contains well thought out areas, such as shoe racks and mirrors placed on the swing out doors, drawers for accessories and socks, and hanging areas for clothes, basically a place for everything. 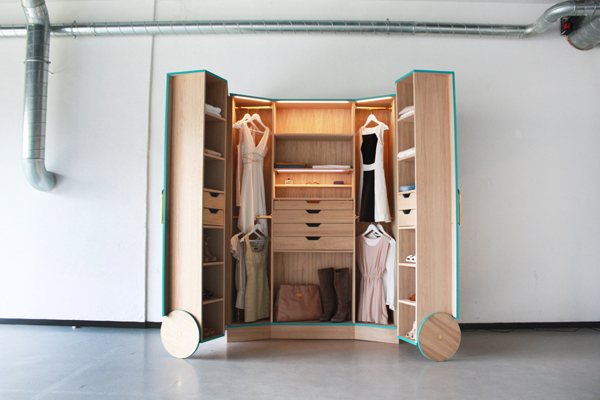 This is truly a great piece of functional furniture for small spaces because not only does it provide a smart storage solution but it actually feels like a walk-in closet! Ching was not satisfied with standard wardrobes, he claims that clothes get lost in them. And if you can’t see your clothes you end up not wearing them. So he designed a “mini fitting room”. The mirrors allow you to see your outfit from every angle. Everything is organized and able to be seen clearly, no piles of clutter will accumulate here. We also love how the bright splash of paint color along the edge of the doors and on the wheels contrasts against the light wood. 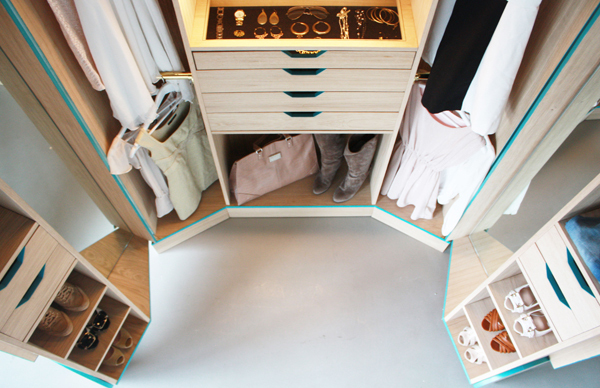 The “Walk-in Closet” is not only beautiful to look at but incredibly functional as well. 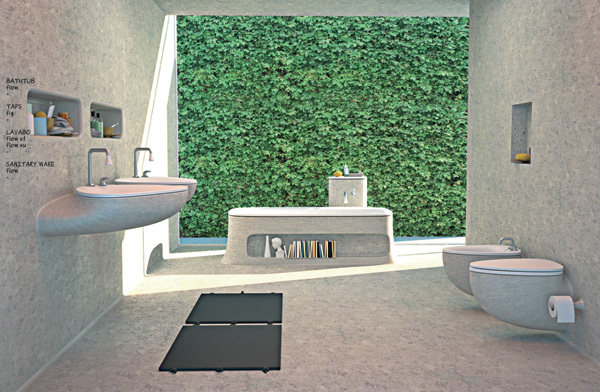 We can think of several rooms in our own home that could use one of these functional furniture pieces, can you? 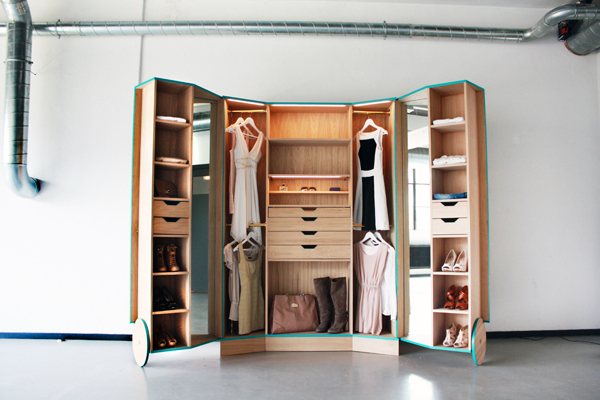 Where can I BUY the walk in closet wardrobe please? ?